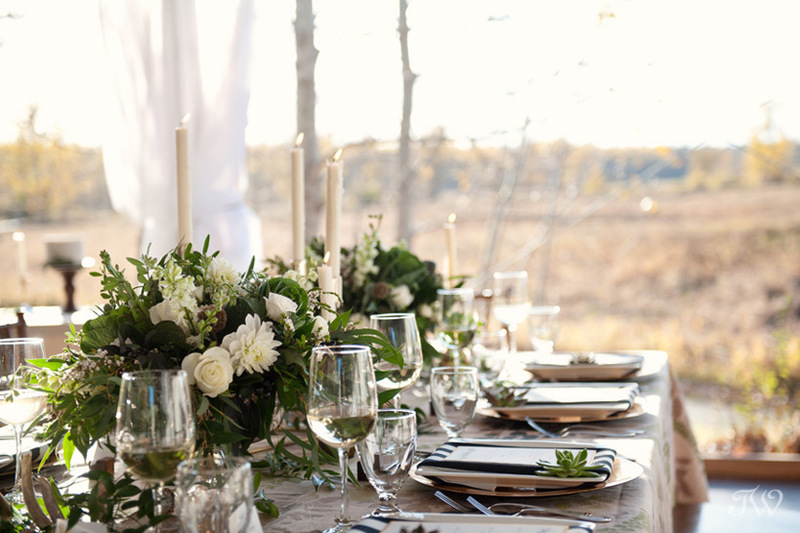 There really is nothing like an al fresco wedding. I love the image of a couple toasting their future under a canopy of trees and twinkly lights. 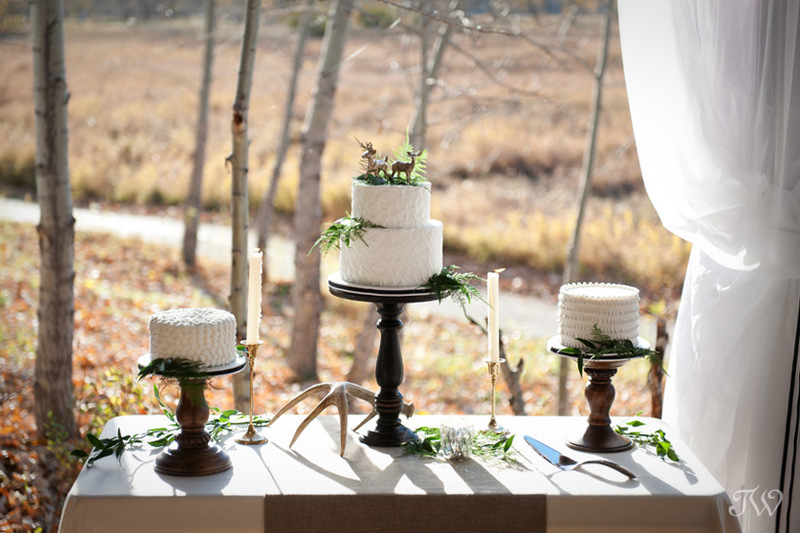 But between our unpredictable Alberta weather and the complicated logistics involved, planning a flawless outdoor celebration can be tricky. 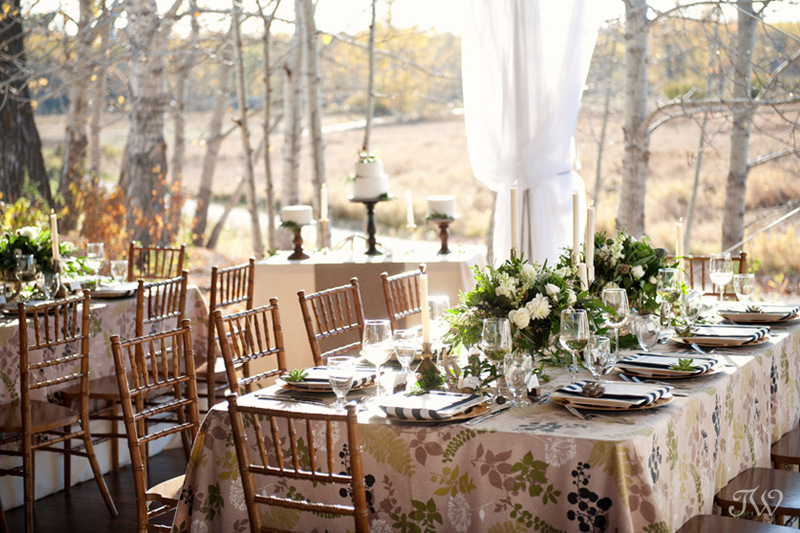 Great Events has created the perfect alternative in Meadow Muse Pavilion. It’s a tent nestled in the middle of Fish Creek Park, yet fully equipped with the conveniences you expect. Recently I met with the staff to learn about planning a Meadow Muse wedding. Tell us about Meadow Muse Pavilion and what prompted the Great Events Group to open it? Recognizing the trend in tented weddings, we opened Muse Muse Pavilion back in 2014. It’s situated on the edge of a meadow in Fish Creek Park and behind Annie’s Café. 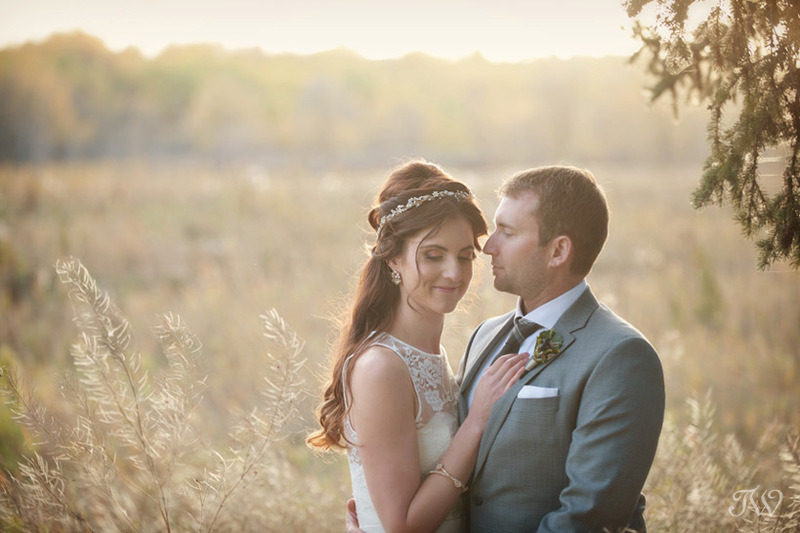 What do couples love about Meadow Muse Pavilion? 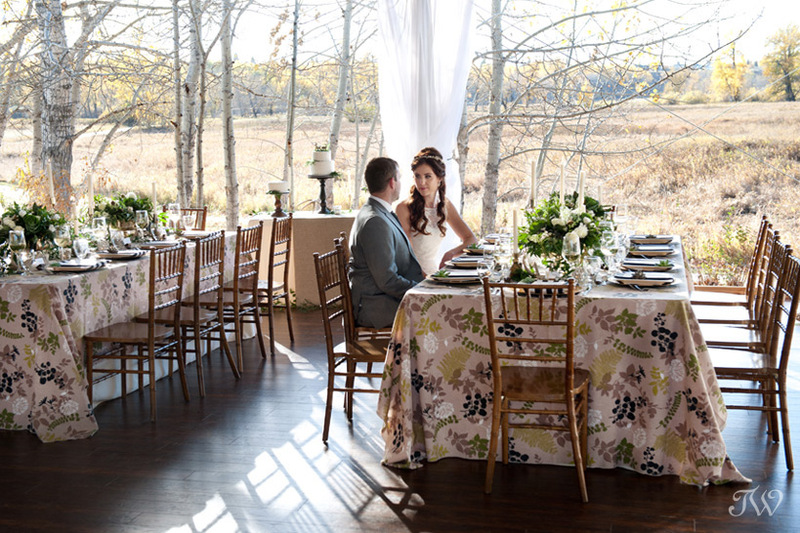 Meadow Muse really is a destination venue within the city of Calgary. It’s easily accessed from Bow Bottom Trail but feels a world away. 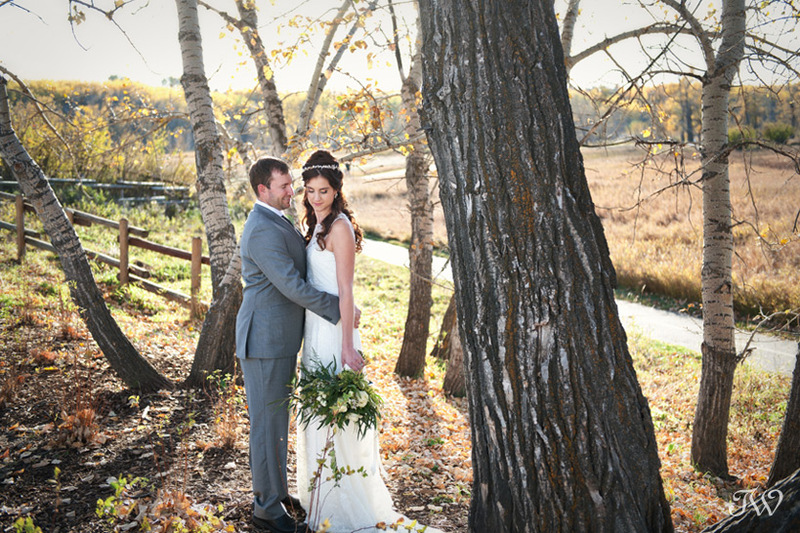 The fact that it’s located in a beautiful park makes it the perfect spot for wedding photographs. 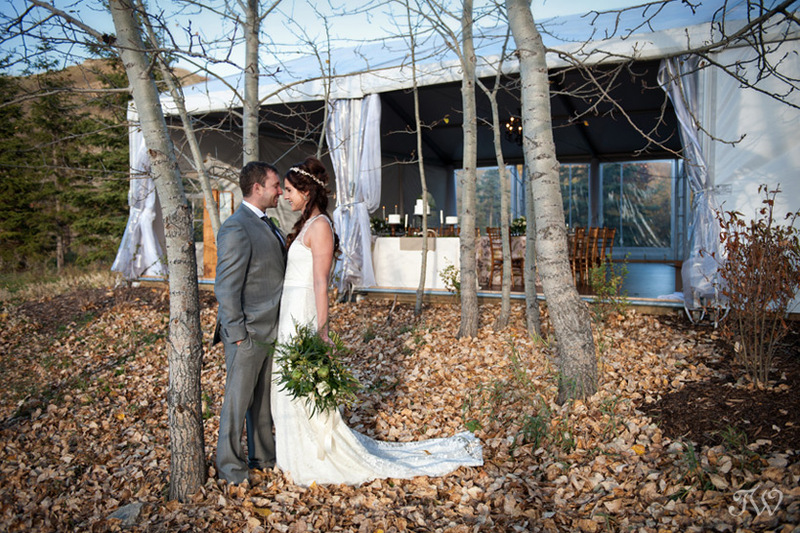 The tent has clear span walls that open up and show off the spectacular Fish Creek sunsets. It features hard wood floors, sparkling chandeliers and a pergola (complete with patio lights) on a west-facing patio. Meadow Muse really is a blank canvas for any style of décor. 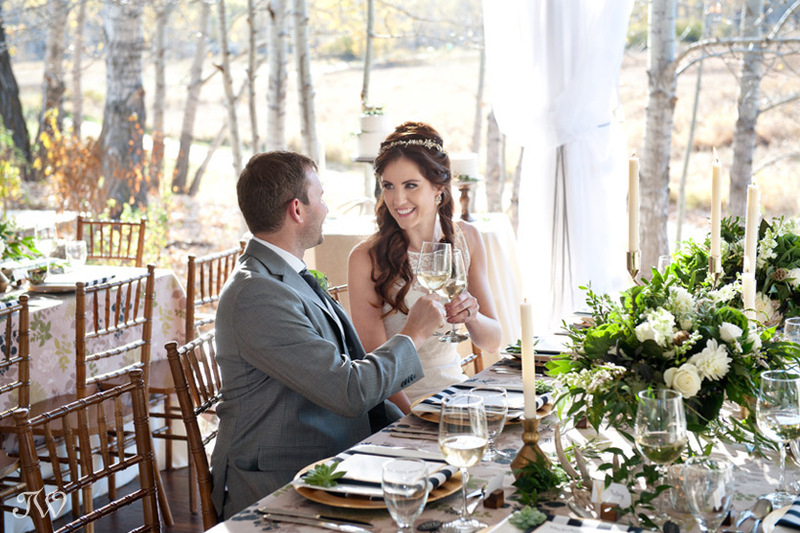 A Meadow Muse wedding includes tables & chairs, restrooms and a bar. In addition, for any rentals through Great Events, the staff will take care of the set up/tear down, and there is no delivery fee. Tell us about the menu options that are available? 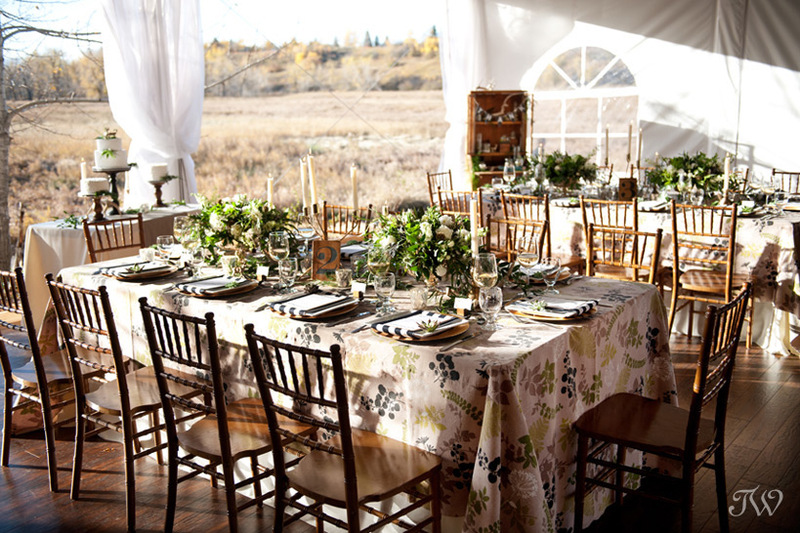 Our official caterer at the Meadow Muse Pavilion is Great Events Catering, catering to Calgary for over 30 years. 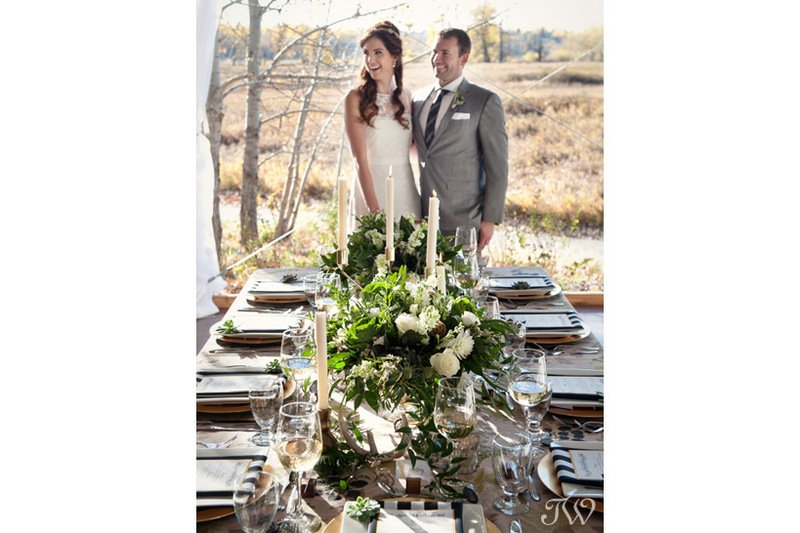 Great Events has become one of the top caterers and rental suppliers in Western Canada, serving Calgary and the surrounding area. The space can hold up to 120 people for a buffet dinner, up to 135 people for a plated dinner and a maximum of 175 people for a cocktail reception. Each year our execute Chef creates a new menu for a buffet dinner, plated dinner and cocktail reception menu. Should you have a specific menu item or theme in mind, we would be more than happy to have our executive Chef put together a menu for you! The venue is open seasonally from June through September. We have a few Saturdays available this summer, which are in June, July and September. Friday and Sundays are an option too. We have had a great start to 2017 bookings and still have availability.